The irony of these parallel accounts is that, with Egypt’s current disorder and Lefèvre’s analysis, which privileges the Brotherhood’s early pragmatism and democratic participation over their violence in the 1970s and 1980s, the Syrian Brotherhood – long considered more radical – comes across as more of a political moderate than its Egyptian relative. Lefèvre insists that “today, there is little doubt left about the organisation’s commitment to ideas and concepts such as democracy and political pluralism,” even if it still remains doctrinally “embedded in the ideological substance of political Islam”. Its internal history is far more contentious, and reflective of the broad social and political wounds of decades of single Baath Party rule, than is often framed. In Egypt, meanwhile, where the Brotherhood’s history was never so violent, the group instead participated in what Wickham calls “a political process warped by authoritarian rule”. That didn’t liberalise the organisation so much as entrench hardliners who kept it as a closed coterie. Under Mubarak, the Brotherhood knew it couldn’t reasonably hold power, so it was free to advocate democracy while leaving major doctrines and policies vague. But political power changed all that, and exposed their doublespeak. It ran a presidential candidate after pledging it wouldn’t; it deflected criticisms with canards, and refused to admit mistakes. 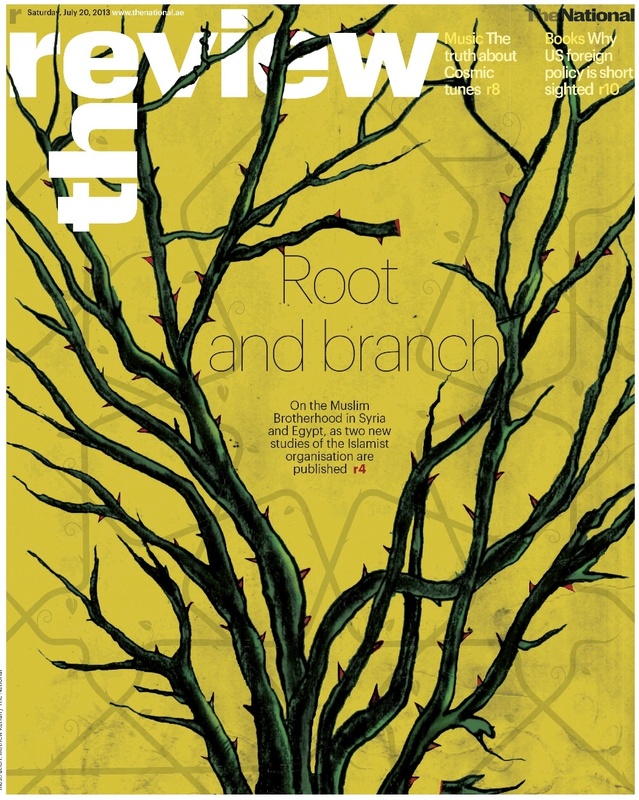 Read the whole story, on the cover of The Review, at The National. This entry was posted in Egypt, Syria, Writing by hiddencities. Bookmark the permalink.